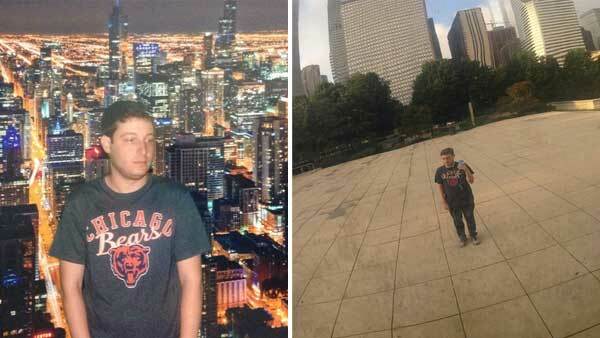 CHICAGO -- A one-man bachelor party being celebrated by a local man is taking social media by storm. Huntingdon Valley, Pa., native Robbie Chernow may have millions of people following his adventures - but he's enjoying them alone. The rest of the bachelor party attendees - groom included - didn't make the trip after their flights were all canceled, leaving Robbie in the windy city all alone. He's been documenting his desolate trip on his Instagram account since he got there Thursday night using the hashtag: #ChicagoForOne. So far he has gone on a lonely boat tour. And he wrote: "Let's go Bears!" as he took in the game - solo. He went to the top of the foggy Hancock building and Navy pier all alone. One of his friends set up a GoFundMe campaign to raise money for his lonely party. So far, it's raised over $300 dollars in just a few hours. Robbie says he's still waiting for the guys to come, but they all should be arriving by Friday night.